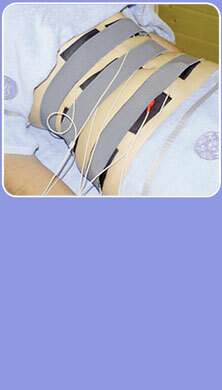 This is an electrical treatment to re-establish muscle tone, firming and shaping the contours. Electro-lipolysis is a painless, medically approved method of removing un wanted fat deposits. A tri-phased computerised programme of electro-stimulation is designed to mobilise trapped fat or cellulite deposits, firm and shorten muscles and skin, then finally stimulate the lymphatic system, encouraging removal of toxins. Results can be obtained from the first treatment with inch loss achieved over a programme of treatments. Clients are encouraged to carry out a detox plan during the therapy, herbal tinctures are also available, together with body contouring preparations to further enhance the results.